LABOR DAY, starring Kate Winslet and Josh Brolin, came out on Blu-ray combo pack this week. I originally saw the film last year and really enjoyed it, but it was not what I was expecting as it was more suspenseful than romantic, but in a good way (review here). My girlfriends recently said they really wanted to see it too, so I was happy to be given the chance to host a viewing party in honor of the film's home video release. 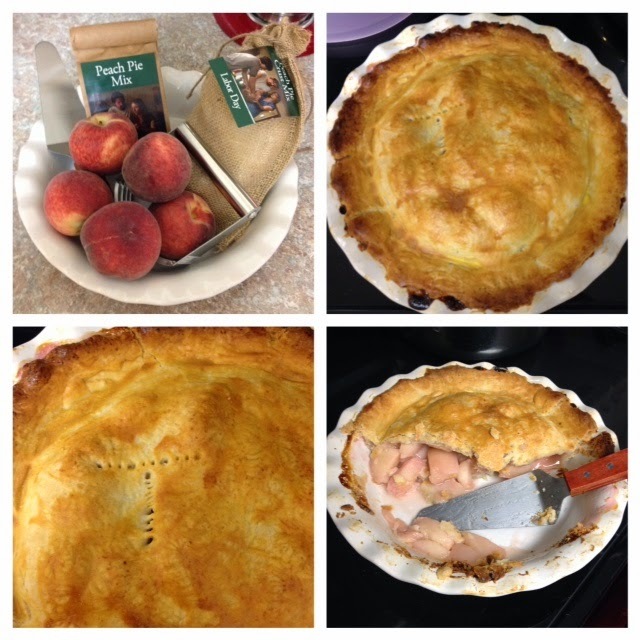 To create your own film-worthy dessert, here's Joyce Maynard's Peach Pie Recipe as seen in Labor Day. 1. In a large bowl, combine the peaches, sugar, lemon juice, and cinnamon. Stir in 2 tbsp Minute Tapioca to help absorb juices. Let stand, stirring occasionally. 2. Preheat the oven to 400°F. In a large bowl, mix the flour and salt. Using a pastry blender, work in the shortening and 1 stick of butter until the mixture resembles coarse crumbs. Sprinkle 1 tablespoon of the ice water over the flour mixture, stirring gently with a fork. Continue adding the water just until the dough holds together. Shape the dough into a ball and divide it into two discs, one slightly larger than the other. 3. Place the smaller disc on a sheet of waxed paper, and use a lightly floured rolling pin to roll the dough into a 12-inch circle. If the dough sticks to the rolling pin, dust it lightly with more flour. 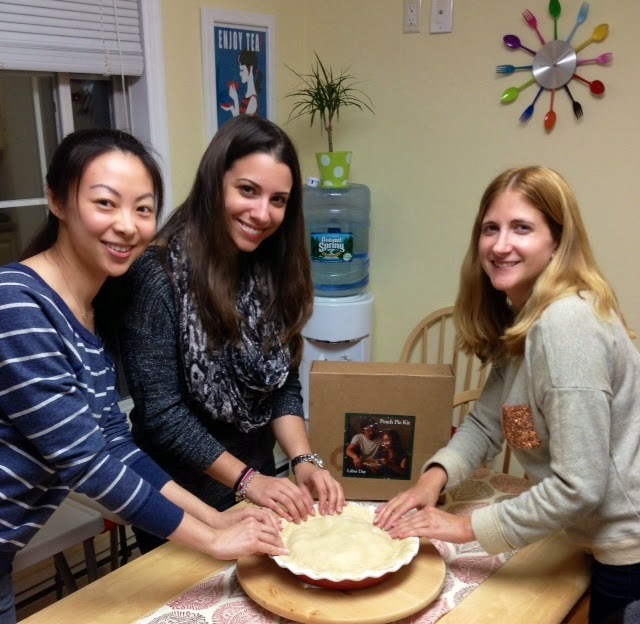 Lay a 9- to 10-inch pie pan face down on top of the circle; flip the pan over and remove the paper. For the crust, on a sheet of waxed paper, roll out the other disc to form a 14-inch circle. Do not roll the dough more than necessary. 4. Sprinkle the tapioca on the bottom crust. Add the filling, mounding it in the center, and dot with 1 tablespoon butter. Lift the waxed paper with the remaining crust and flip it over the filling. Peel back waxed paper. Trim the edges of the crusts and pinch together the top and bottom crusts. Optional: Roll out the trimmings and cut into decorative shapes. Brush the pie with the egg, and arrange the shapes on the crust. Sprinkle with sugar. Poke fork holes or cut vents in the top crust. Put pie plate on cookie sheet to catch drips. Bake 40 to 45 minutes, or until golden brown. Serve warm. Disclosure: I received the Blu-ray combo pack and a pie kit for my honest review and opinion, no monetary funds were given. It Feel So Amazing To Read This Post. I Just Want To Thank The Writer For Providing Such An Informative Article. Thanks Once Again.